A luxurious dining chair that draws inspiration from the interiors of the finest hotels in Italy. 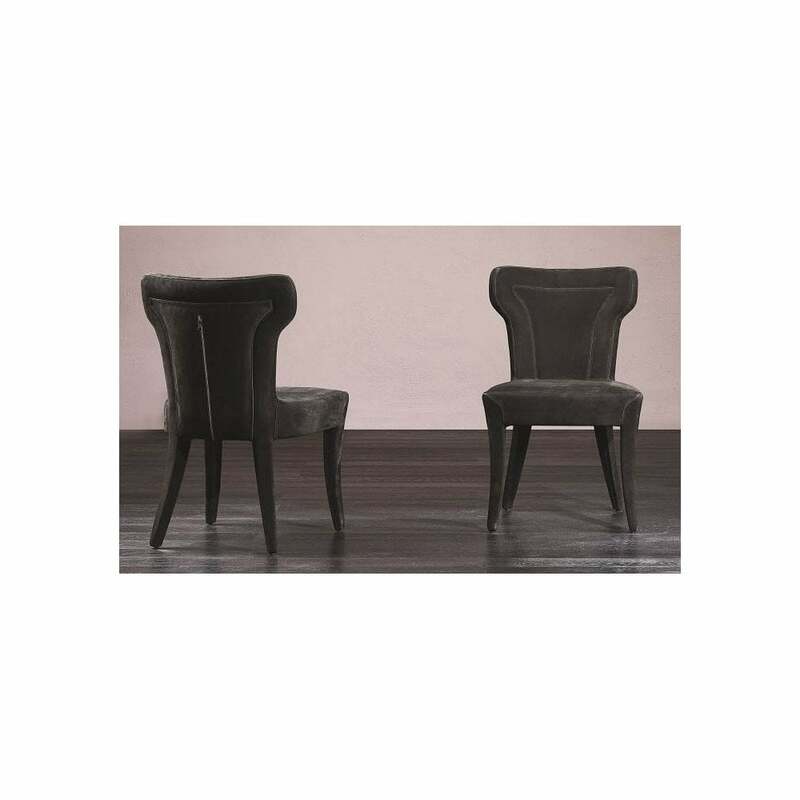 The Alina Chair is part of the ‘Day’ collection by Rugiano. The classic shape is upholstered in high quality Pelle leather. Choose from a wide range of colours and textures to suit you dining room scheme. The tapered legs can be realised in wood, lacquer or upholstered in a complementary fabric. Piped borders highlight the contours of the chair which is then finished with a contrasting zip to the back. An elegant chair that combines both form and function, Alina is hand-crafted with the softest material for maximum comfort. Get in touch with our team to receive samples and advice.